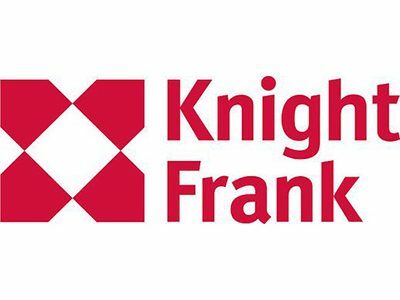 Knight Frank has released its annual housebuilding report, which surveys over 100 major UK housebuilders. The government is seeking methods to speed up delivery of housing via a review of build-out rates currently being conducted by Sir Oliver Letwin, who this week published draft analysis stating absorption rates are the key factor limiting the speed of housebuilding in the country. Though the Letwin review focusses on challenges after the planning process is complete, when asked about the barriers to speeding up development our respondents still identified planning as the biggest hurdle, with 39% identifying it as the top issue, although the proportion identifying the planning system as a hurdle has fallen since last year. Looking ahead, 61% plan to increase the number of homes they build during the next 12 months, but that headline figure hides a split between the outlook of larger housebuilders and SMEs. 92% of large housebuilders (those that build over 1000 homes per year) plan to increase construction starts this year, However, most small developers (57%) intend to decrease activity or leave output unchanged. The future of the Help to Buy Equity Loan Scheme has become a topic of keen interest to housebuilders, many of whom are now embarking on building projects that will complete after 2021, when the scheme is scheduled to end. Nearly half of respondents (46%) said that ending the Help to Buy scheme in 2021 would have a negative impact on the supply of homes they were able to deliver. However, concerns that ending the Help to Buy Equity Loan scheme will affect housing delivery does not translate into a plea for Help to Buy to continue indefinitely. Two-thirds said the scheme should end, although these were split between those who called for a tapered withdrawal of the scheme (50%) and those who said it should end completely at some point in 2021 (14%). Just over a third of all respondents (36%) said that the scheme should continue indefinitely. The majority of respondents to the survey (55%) said that London Mayor Sadiq Khan’s Affordable Homes threshold of 35% could, if applied on a national basis, hinder the delivery of Affordable Homes, suggesting that any threshold would need to be set locally. However, most respondents (62%) actually favoured a threshold approach to Affordable Housing, provided the target was set clearly and adhered to, due to its transparency and the likelihood it would make bidding for land more competitive. When asked for opinions on Brexit, the majority said that an uncertain economy was the greatest risk to their business, followed by labour availability and access to materials. Respondents said outer London zones 3-6, the South East and the West Midlands present the greatest opportunities during the next three years. “Nationwide, housebuilding looks set to increase, underpinned by more evenly distributed house price growth and high levels of employment in regional cities. However, our survey indicates that scepticism prevails among housebuilders over whether it’s possible to deliver 300,000 additional homes a year, and ultimately they will only build what they can sell. The Housebuilding report examines the opportunities and challenges ahead for the development sector. The report reflects the views of respondents from more than 100 housebuilders and developers, ranging from FTSE 100 companies to firms building fewer than 10 homes a year. Together, the respondents account for almost 75% of all homes built across the country each year.